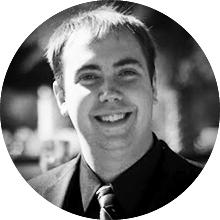 I am Chris Edwards, a creative website & WordPress developer in Orlando, Florida. I have been creating websites as a hobby since 1999 and professionally since 2004. In the years since, I have become proficient in many web technologies, including but not limited to WordPress, HTML5, CSS3, Search Engine Optimization, Social Media and more. I specialize in helping small businesses make their mark online through Data Driven Labs, my Orlando WordPress Agency. At Data Driven Labs we focus on building custom WordPress websites as well as affordable website packages for small businesses. In addition, we also offer digital marketing services such as search engine optimization and pay-per-click. In my free time, you will find me spending time with my family at Disney World and also around local Florida attractions. In addition to spending time with my family, I am also a photographer and videographer. You will often find me taking wildlife photography around Central Florida, such as Lake Apopka Wildlife Drive. In whatever free time I have left, I enjoy sharing my knowledge and skills I have acquired with small business owners and other geeks alike. You will find me around town attending or speaking at local meetups and tech events. I am an active member in the Orlando WordPress group and few other local tech organizations. This blog is dedicated mostly to my personal experiences, photography and several of my hobbies. If you are interested in reading some of my tech-related articles, please visit Data Driven Labs Blog. My family and I also have a blog where we share local Central Florida adventures. This blog, Florida Sun Adventures will help you find fun and interesting things to do around Central Florida. WordCamp US 2016 – What A Great Camp! Thank you everyone for coming out to my talk today. It was great meeting everyone. Resources Google Analytics Demo Account Monster Insights WooCommerce Google Analytics Pro EDD Enhanced Ecommerce Tracking Shopify Ecommerce Tracking Setup Hotjar Optimizely Visual Website Optimizer UTM Builder Slides Download slides from the talk.